Description: New aftermarket ac adapter charger power cord. 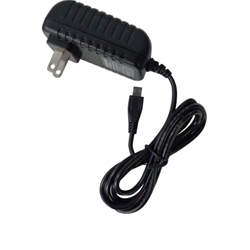 This power adapter is used with select Asus tablet pc's and is 5V 2A. Compatible Part #'s: EXA1205CA, PA-1070-07, AD897320, AD876320, 90NB0451, AD2022320 010-1LF. Asus Transformer Book T90 Chi, T100, T100T, T100HA, T100TA, T100TAF, T100TAM, T100 Chi.